Marxist literary theory falls into the category of SOCIETAL MIRRORS, or criticisms that reflect society (social mirrors also include postcolonialism, feminism, queer theory, affliction theory, and ecocriticism). Societal mirrors focus on the idea of The Other, a term for a person in society with little power or agency (the ability to change their circumstances). Those with agency are known as the privileged group, as they have access to resources that The Other does not. Some members of the privileged group actively work toward this inequality, while most members of the privileged group have social blindness--they do not willfully wish to subjugate others, but because their privilege is normal, they do not perceive or understand the struggles of The Other. In Marxism, what gives some people more agency than others is access to resources like wealth, education, and health. A focus on having access to these resources is called materialism, and the struggle for different individuals and groups to access these resources is called dialectical materialism. Karl Marx, who originated this theory in his Communist Manifesto, believed the dialectical materialism is the backbone of all societal and historical conflict. Marx divided all societies into two groups: those who have access to resources (the bourgeoisie) and those who don't have access (the proletariat). The proletariat, without access to all needed resources, lack the agency of the bourgeoisie; for example, a rich man who has to have a crucial operation can easily afford treatment, while a poor man will struggle to come up with the money for the lifesaving procedure. This makes the proletariat, or working class, the Other in Marxism. Marx concluded that "the March of History" would continue to be full of conflict and war until, eventually, the proletariat overthrew the bourgeoisie and made a perfect society called a utopia where everyone has equal access to resources. SO WHAT DOES DIALECTICAL MATERIALISM DO? Alienation from others: Capitalism thrives on getting the most: the most customers, the most profit, the most brand recognition, etc. Thus, it puts both businesses and individuals in competition, which alienates them from working together. Part of this is that certain jobs are valued over others economically, which leads to status. Alienation from labor: In the pre-industrial days, craftsman were more numerous and skilled. If you wanted a shirt, for example, you would go to the tailor, he'd take your measurements, and handcraft you a shirt. For Marx, this attention to craft and detail would make both the tailor and customer feel like what they had made was special and of worth. Yet in a factory, a worker who is unskilled may only sew a single button on the same mass-produced shirt as it goes down the line. This alienates the worker from the pride of creating something with worth; it also makes the consumer see produced goods as something of less worth, alienating them from their consumption habits (this is why eating a home-cooked meal tastes better than fast food). Alienation from purpose: Going back to the pre-industrial days, having a craft was a badge of honor that gave a person a since of purpose. You want bread? Go to the baker. Advice on a legal matter? Better talk to the reeve. Professions became so identified with personal pride that sons often entered their fathers profession, and families took as a surname their profession (Smith, Taylor, Mason, Potter, etc). Yet when workers are alienated from labor, they also get alienated from this higher purpose. As Billy Crystal lamented in the film City Slickers, "I sell advertising space on the radio, so basically, I sell air. At least my father was an upholsterer: he made a sofa or a couch you could sit on. It was something tangible. What can I point to? Where's my work? It's air. I sell air." ​Marx saw most societal institution and media as either agents of alienation or a response to alienation. For example, he theorized that alienation would make some people depressed and suicidal, while others would get angry and try to fight for their power back. Others would look outside labor for meaning. Marx criticized drug use as escapism from alienation rather than solving it. He also called religion an "opiate for the masses" because, like the drug opium, it eases the pain of alienation through promising an afterlife where alienation is absent. Later Marxist are also critical of mass media as television, film, books, and the internet can allow for "mindless escapism" in lieu of an actual meaningful life. Marx's idea that the March of History would eventually lead to a revolution and the establishment of a communist utopia led to several revolutions in the 20th century, including the October Revolution that overthrew the Russian czar and began the Soviet Union. Yet the revolution led to massive inequality in Russia, the Cold War, and ultimately failure. So Marx and Communism were wrong, right? Not quite. While the Communist Revolution in Russia was inspired by Marx's ideas, the government under Lenin and later Stalin became a fascist dictatorship. Here's where the Russians (and many others) critically deviate from Marx: government. Marx was a big believer in democracies, as they were the only system of government wherein the common people had a critical voice. Furthermore, he believed that the role of the government was to manage the distribution of goods fairly and protect people. In Marx's utopia, a democratic government manages all business transactions in a way that makes all products wanted (eliminating competition), provides everyone what they need, and protects workers, consumers, and the environment from the abuses of modern capitalism. Workers are united into unionized groups that work for the better treatment of their class, and crime is virtually eliminated, as no one is motivated to steal or be in competition with anyone else. The Soviets did none of this: they collected all the resources but did not try for equal distribution, they eliminated most freedoms of their citizenry, and actively encouraged competition and war with other nations based on the greed of those in power. Unfortunately, Marx realized that his perfect society, while inevitable, is near impossible because of the legacies of greed. For Marx, all of history from first emerging from caves to his time in the 1800s brought us to a place where we wouldn't outright kill one another for resources-- where we could have some laws and some unions and some democracy. Marx believed that utopia would take thousands of years more to reach, but that small steps in the meantime are what will get us there. This belief is socialism, or that as society starts to take care of those without resources, society on a whole becomes better. While no country has ever been communist in Marx's view, most countries are socialist, with social welfare programs run by their government to give resources to those too poor, injured, young, or old to gain them on their own. SO HOW DO I READ LIKE A MARXIST? 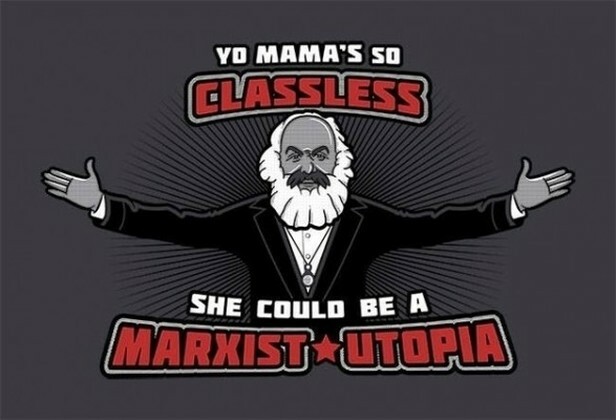 Marxists focus on social class structure, alienation, and the role of government, laws, and economics. A Marxist looks at the division between the haves and the nave-nots and what agency the have-nots possess in the text. What choices are the poor forced to make that the rich do not have to make? What choices are made for the poor by the rich? Can someone have any jb they want, or are their barriers to admission? What myths about the have-nots do the characters believe? How do the have-nots struggle against these myths? A Marxist doesn't just look at the division between haves and have-nots, but also examines what forces are dividing society into classes. How do the haves get what they have? Is poverty a legacy? In The Hunger Games, society is divided into districts based on economic regions, and these boundaries are strictly enforced by giant walls and laws forbidding travel to other districts. In other stories, some ideas that divide classes are religion, law, birth and family, physical ability, or even one's physical body (which often crosses over into post-colonialism, feminism, and homosociality). A Marxist looks at how power is held, kept, and transferred. In "The Most Dangerous Game," Rainsford is powerless to stop General Zaroff and Ivan from hunting him for sport--they know the island, they have all the weapons, and the only resource Rainsford has is his knowledge and a "sporting head start." In order to get the power, Rainsford first has to eliminate some of Zaroff's resources by killing the dogs and Ivan, and then physically wrest a weapon from Zaroff in order to transfer the power to himself. Once Rainsford kills Zaroff, he holds ultimate power and is the new bouisgeoisie. A Marxist looks at how characters are alienated or placed in competition. In Rocky, characters Rocky Balboa and Apollo Creed have a mutual respect but are not allowed to be friends because they are in direct competition for the boxing title; this alienation ends in Rocky III when Creed becomes Rocky's manager, resulting in a friendship not possible while in competition with each other. 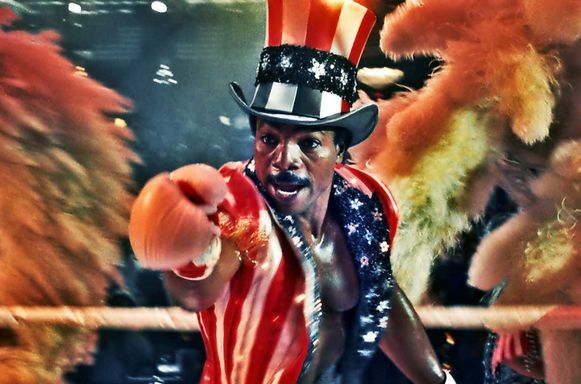 By Rocky IV, Creed feels alienated from his purpose as he struggles with getting older and being a retired boxer, which leads him to challenge Ivan Drago to a fight. Rocky correctly predicts that the fight is "you against you" and more about regaining a sense of purpose for Creed rather than eliminating Drago as competition. Look for "haves" vs. "have-nots"--what causes this division?